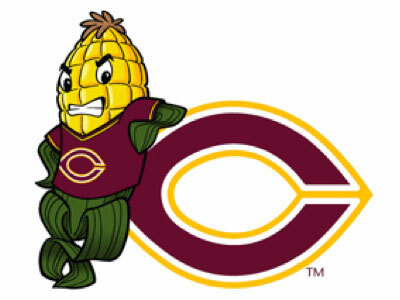 Concordia’s baseball team has experienced major cancellations this season due to the weather. Fifteen games have been cancelled so far, but as most of the cancelled games happened during preseason play, they will not affect the baseball team’s overall standing too much. The lack of practice in the preseason, however, could have an impact on how prepared the Cobbers are as they launch into the season. Of the games that they have played, however, the men have won more than they have lost, and their current record of 6-2/1-1 looks promising as they continue their competitive season. The Cobber ladies were conference champions this season, winning their MIAC playoff championship game 71-61 against St. Thomas this past February. From there, the Cobbers went on to make their 17th overall appearance in the NCAA playoffs where they lost 59-56 in the first round to Simpson (Iowa). They ended their season at 21-7 and with numerous honors to individual players. Concordia men’s basketball made it to the MIAC playoffs this year, their first time competing there since the 2007-08 season. They lost 86-75 to Hamline in the first round, however, but finished up their season 14-12, the most wins they have had since the 2000-2001 season. This year included some personal successes for seniors John Fraase and Darrin Olmscheid, both of whom cracked 1,000 points this season and went onto earn an All-MIAC conference award each. Concordia made it past St. Olaf in the semi-finals of the MIAC playoffs, but lost 5-7 in the finals to Gustavus. Overall, however, the Cobbers finished their year with a record of 15-8-4, which, according to the Concordia athletics website, “is the single most wins in a single season in school history.” Five of the women were also recipients of MIAC post-season honors. The men made it to the MIAC final this year, losing 5-2 to Hamline. They ended their season with a record of 12-11-4, and with numerous honors to players and even to the head coach, Chris Howe, who was named MIAC Coach of the Year. Players Pat Deitz, Caleb Suderman, and Nick Thielen all received a place on the MIAC All-Conference Team, while Kelly Andrew and Aaron Wheeler earned MIAC All-Conference Honorable Mention honors. Mark McNaughton represented Concordia on the MIAC All-Conference Sportsmanship Team. Junior Erick Galt received several honors this year, earning both a spot on the MIAC All-Conference Team and receiving All-American Honors from the American Hockey Coaches Association (AHCA). The swimmers placed 7th overall at this year’s MIAC championships, with senior Katie Coleman posting some impressive new records that day. She broke four school records during the three days of competitions, posting new times for the 1,000-yard freestyle, the 100-yard freestyle, the 1650-yard freestyle and the 400-yard freestyle relay. The divers also placed impressively at the MIAC championships, junior Molly Hansvick placing 5th and senior Amy Glubzinski finishing 6th. Softball started their season out dismally with an 18-game losing streak, but broke that streak on April 10th, winning two games against Carleton College in Northfield, Minn. Hopefully the Cobber ladies will be able to keep up this momentum, and will be a formidable contender in this year’s MIAC lineup. The men’s team has had mixed success this season, posting a current record of 7-6/3-2. The men still have three more games to improve their lead, however, and will play their next one against Macalester on April 15th. A tennis player to watch this season is Matt Edin, the Cobber’s No. 1 men’s singles player and three-time All-Conference athlete. Edin and his doubles partner, Devin Larson, are also Concordia’s No. 1 doubles team, and posted an 8-4 win over St. John’s on April 10th. The Cobbers went on to win overall 7-2. The start of the season has been rough for the ladies, who have played so far with a record of 4-8/1-4. The team has some promising individual players, however, and will hopefully be able to use this talent to their advantage and close the season strong. Andrea Rognlien, a Concordia tennis star her freshman year, is back this season after an injury kept her out of last year’s play. Her presence along with the talent of other athletes, including her doubles partner, Katie Edin, will hopefully help the team to more victories in the coming weeks. The ladies faired well in the indoor season, placing 9th overall at the MIAC conference final. Senior Alyssa Deutschman won the high jump, the only Cobber to place first in an event. Tatijana MullerDahlberg, Alexa Kleingartner, Hilary Thompson, and Macey Bentley all finished in the top five, and the Cobbers had numerous other top ten and personal best finishers. The women have had four meets so far this season, with the highlight so far being their second-place finish at the St. Ben’s Invitational on March 26. Their next meet will be the Lee Krough Invitational hosted by Gustavus Adolphus College in St. Peter, Minn. The Cobbers are looking promising as they move throughout the season, and hope to repeat the success they have had in previous years by continuing their presence at the NCAA Division III championships this May. According to the Cobber athletics website, “Concordia has sent at least one athlete to the NCAA Division III National Meet for 28 consecutive seasons,” their most recent success at nationals being Leah Kay, who earned a second-place finish at the 2009 meet. The Cobbers earned a few awards later in the season as they competed in the MIAC Championships on March 5th, where the men placed 8th. Tom Sederquist was the runner-up in the 3000 and 5000 meters and Felix Okoth also finishing second in the triple jump. The Cobber’s distance medley relay team, made up of John Bye, Brad McConn, and Sederquist also did well, placing third and breaking a school record set in 2000. The Cobbers also had several top five and top ten finishes, ending their indoor season well. The Cobbers have had four meets so far this season, placing 3rd at their St. John’s meet on March 26. Their next meet will be the Lee Krough event at Gustavus on April 16. The team placed 8th at the MIAC championships last year, but did not send any athletes to the NCAA Division III championships. The last appearance at the championships for the Concordia men was in 2009, when Paul Westmark qualified in the decathlon. Wrestling sent three men to the NCAA Championship match this season, earning 7th place overall at the event. Senior Phil Moenkedick earned his second national victory, the only Cobber wrestler to earn two consecutive NCAA titles. Moenkedick, along with senior Justin Berns and sophomore Tom Bouressa, received All-Americans. Moenkedick and fellow wrestler Ross Dankers were also named National Wrestling Coaches Association (NWCA) Scholar All-Americans for their work as student-athletes.